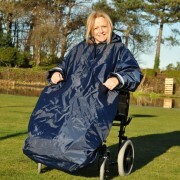 The Wheelchair Mac provides practical head to toe cover for you and your wheelchair. 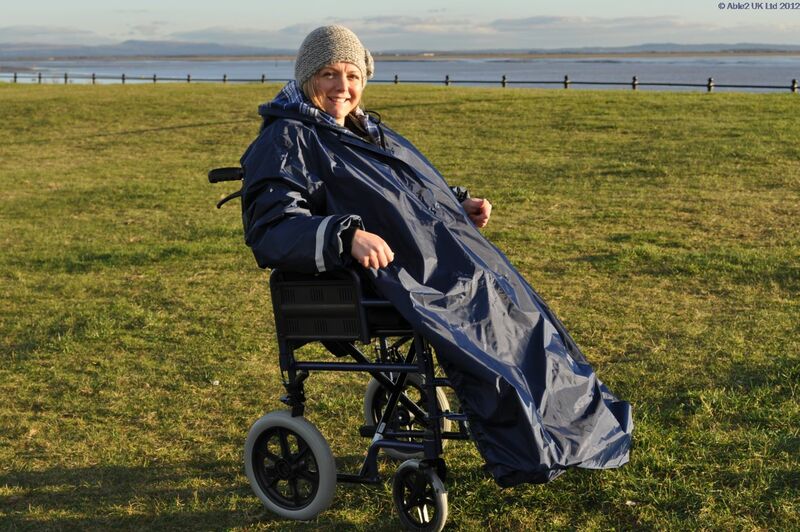 The elasicated hem fits snugly over the footplates of the wheelchair and slots at the rear allow the pushing handles to remain in use if required. The hood features drawcords with spring locks and a sturdy zip allows an open neck for a more relaxed fit. The Mac is fully waterproof and windproof. 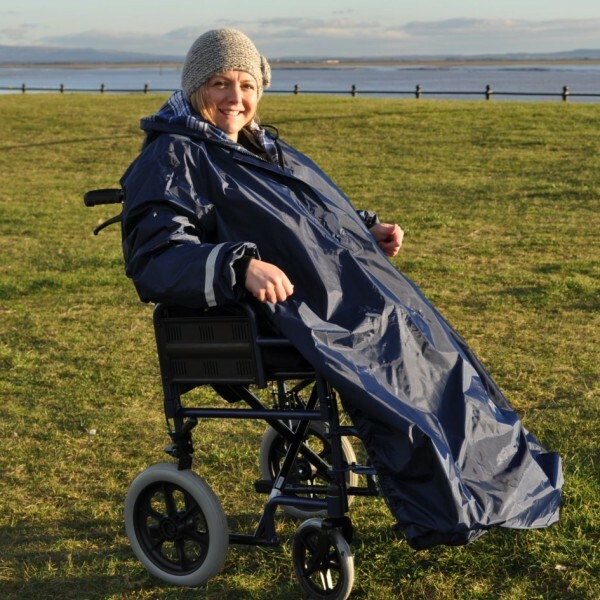 The wheelchair Mac is available in two sizes, medium and large, and also a Deluxe version with a brushed cotton lining for additional warmth. 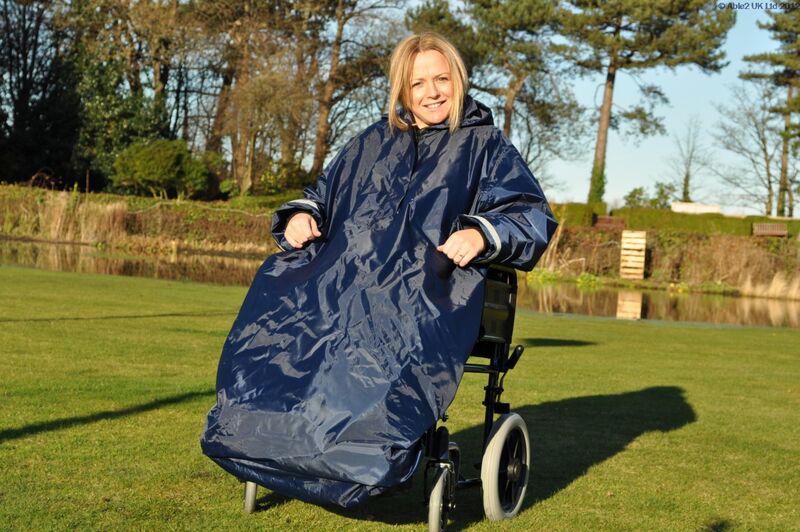 The Wheelchair Mac is available as a sleeved garment in two sizes and a Deluxe version complete with a cotton lining.